Last Thursday night, I went to Battersea Arts Centre to celebrate the reopening of the Grand Hall and see Gecko’s Missing, which was rudely interrupted during its original run when the fire broke out in 2015. It was a joyous occasion. Tonight, I will be going to another opening: Alexis Zegermen’s dark comedy Holy Sh!t has its press night in Kilburn at the newly rechristened Kiln Theatre, formerly the Tricycle. Just as I loved seeing the BAC’s Grand Hall and how exquisitely it has been brought back to life, I’m confident that I will enjoy seeing the Kiln’s £7 million refurbishment. 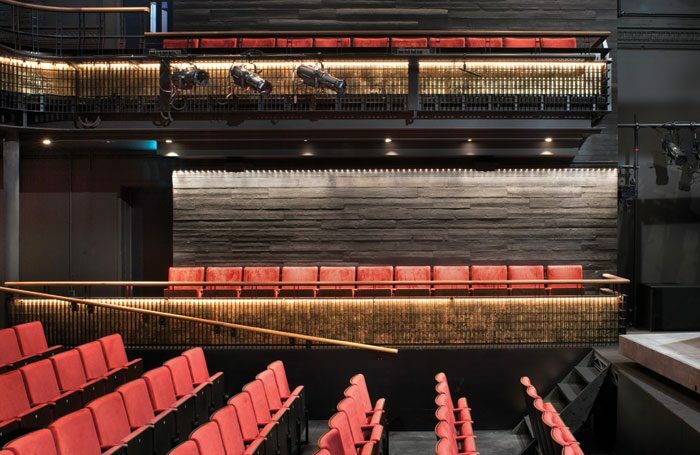 To see how it has created a theatre space that is genuinely fit to serve both the local community and artists, including state-of-the-art facilities and disabled access. I hope that it will be just as celebratory and joyous as the Battersea opening, which was British theatre at its best. It marked not just the opening of a space, but it was a remembrance of its past and how many from both the local and the theatre community offered their help following the blaze. Let’s think about what’s really important and not expend energy on useless sideshows, which are often about ego, ownership and protecting your own legacy. Either way, in the end we are all just dust. Michael Billington has observed that in changing its name Kiln is trying to cancel out the theatre’s past. No, it’s not. Billington has got behind the cause of those opposed to the name change, who include one of the theatre’s original founders – Ken Chubb – and its former artistic director Nicolas Kent, as well as several former board members. At a moment theatre should be celebrating its renewal for a future generation, and looking to what it might offer to Kilburn’s ever-changing community, it’s a great shame that those with a long and honourable association with the theatre should spoil the party. This whole episode is so unsupportive of the theatre’s current artistic director, the indefatigable Indhu Rubasingham. Even if you are the founder of a theatre or company, you are only the custodian of that building or company for a short period – you are not the owner. You are always handing it on. You should be generous to the future and those who come after you and put your faith in them to be the best possible custodians until it comes to the moment when they hand the baton on. I can understand that some locals who loved and cherished the theatre when it was called the Tricycle might feel a temporary sadness at the name change, despite the consultation that took place with the community. They have the right to express that sadness. Change is always hard. I was upset for several weeks when BBC Radio 4 moved Women’s Hour from the afternoon to the morning. Now I couldn’t imagine it in any other slot. I recently took my dad on a tour of Stockwell, where he was born more than 90 years ago and lived all his boyhood. In the four years since we last made the trip, many of his old haunts have been torn down. It felt, he said, as if his past was being erased. But he also knows that the new council houses will serve the local community far better than the old Victorian ones. In any case, legacy survives not in a name but in memory. Those of us who live in London know this because every step we take is on top of layers of history, the lives of those who came before us. One of the pleasures of the way BAC has been re-imagined is that the past – including the effect of the fire – is evident on its walls. Every great theatre comes with its own ghosts. But often they have nothing to do with the building and everything to do with the performances that have taken place there. The walls echo with the lines delivered by long dead actors, the laughter of audiences no longer with us, and the music played by orchestras that have fallen silent. Tonight, when I step foot inside the Kiln for the first time, I am sure I will also recall some of the great shows I have seen at the theatre over the past 30 years, just as I did when I stepped into the BAC’s Grand Hall last Thursday. It’s those memories of performance that keep a theatre’s legacy alive. Not its name. Let’s move on.